DD1 enjoys doing various role plays. This one was for the icecream parlour. 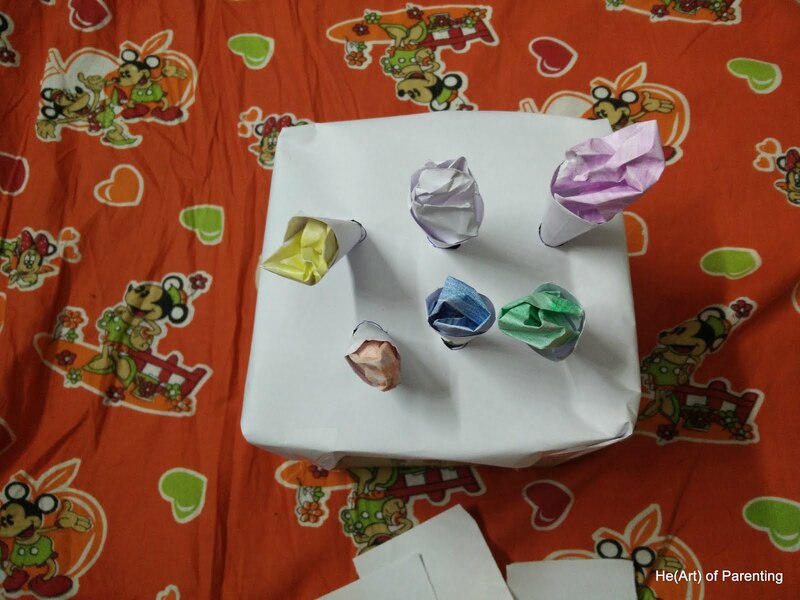 Take some paper and fold it around to get a cone shape. 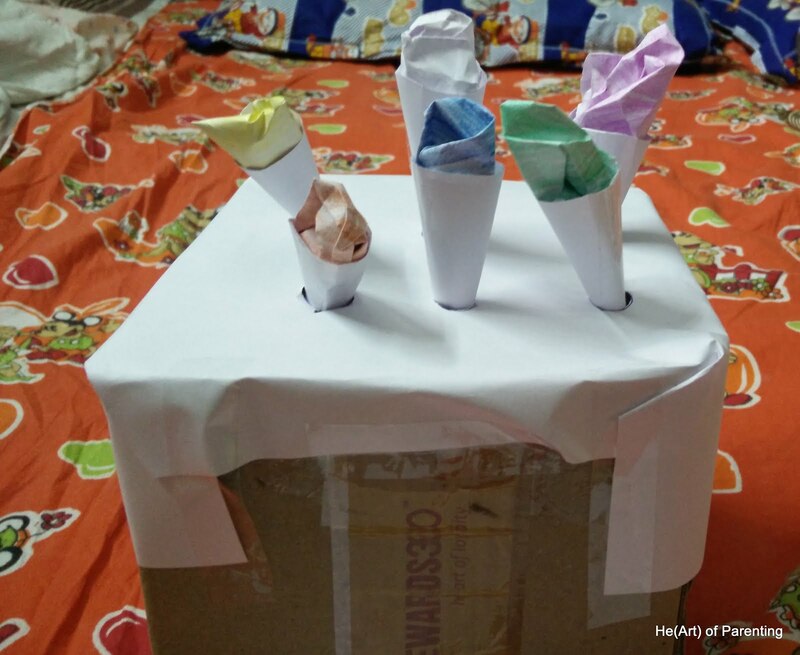 Crumble some coloured paper and put it on the top of the open end of the cone as if it is a scoop of icecream. You can use multiple colours for the different flavours of icecream. Now, take a cardboard box and paste a sheet on paper across the open side of the box. 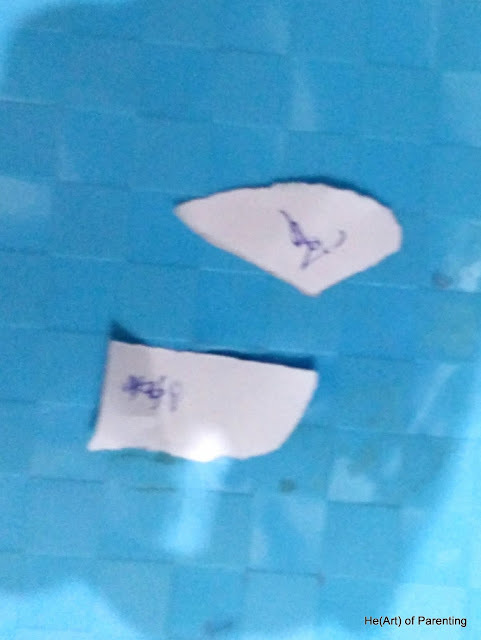 Make tiny holes on the paper so that the cone you made just fits in. Be careful with the size of the hole, because the cone may eventually fall off into the box. Now take turns and become an icecream seller. 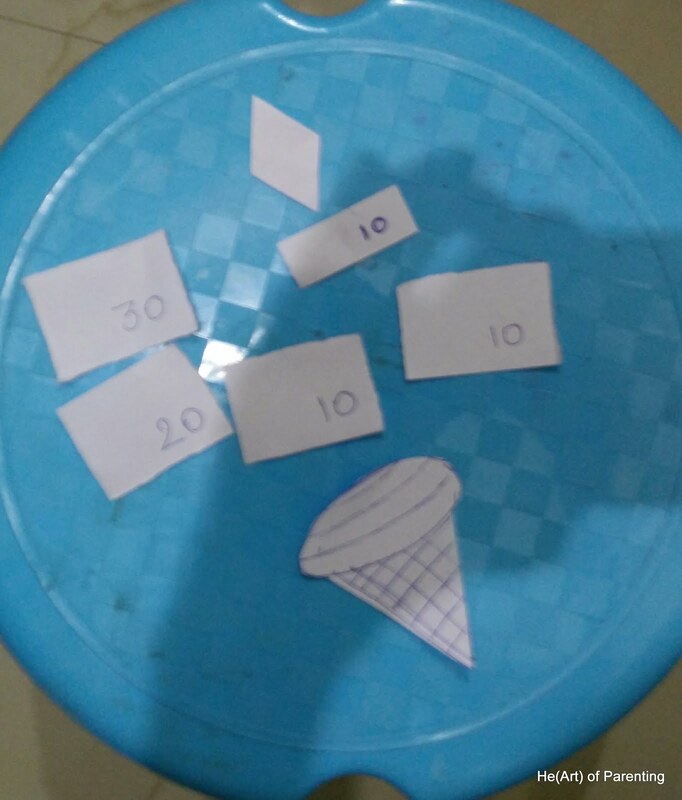 Remember to use some pieces of paper as money when buying the cone.